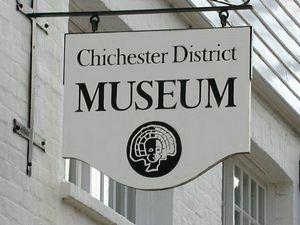 Welcome to Chichester District Museum! Housed in an 18th-century corn store, Chichester District Museum is the place to come and find out about the local history, geology and archaeology of Chichester and District. The Museum also has a temporary exhibition gallery, and an education and events space, the Discovery Room. The services that we provide include exhibitions and events, walks and talks, education and outreach, history and archaeology enquiries, artefact identification and the Museum shop. The Museum also runs The Guildhall, a rare medieval survival just five minutes from Little London, in Priory Park. Once part of a Franciscan friary church (completed about 1282), the Guildhall became Chichester's town hall and courthouse in 1541. One of the many people tried in the Guildhall was the poet and artist William Blake. Contact the Museum for details of Guildhall open times during the year.